It still way off in the future. A team of researchers in chemistry, pharmaceutics, and engineering is developing a long term implantable biosensor that could dramatically change the way of life for millions of people diagnosed with diabetes. Prototypes of the device are smaller than a grain of rice yet embedded with an array of highly sensitive, microscopic electronic chips, sensors, and transmitters. The device would be injected into a diabetic patient subcutaneously using a hypodermic needle. Patients would then wear a special watch-like monitor that would receive transmissions from the sensor so they could track their blood sugar level throughout the day. I work for Diabetes Forecast magazine I would like to interview you about a topic you discuss in one of your older blog posts--it's an issue that is important to people with diabetes. 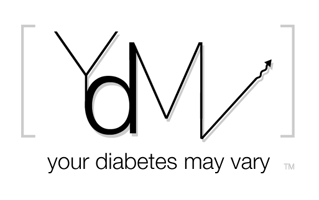 Would you please email me at kbunker@diabetes.org so I can give you more information and see if you are interested? I would very much appreciate your perspective as a parent of kids with diabetes, and would hope to speak with you this week. We have restarted Dex Sensors and had the go another 5+ days. Tape becomes the issue, and the site get itchy. well I was thinking more about the size of it and the size of the needle. thanks anyway!